Beethoven, Period. This is the clever but misleading title of a new survey of Beethoven’s output for cello and piano (or piano and cello, as the first editions had it). In fact, the use of period instruments entails no end of commas, dashes, semicolons, footnotes and ellipses, although I can confidently put an exclamation mark after a general endorsement of this as one of the best recordings of the year. The musicians, Matt Haimovitz and Christopher O’Riley, are of the modern persuasion, but armed with vintage tools. 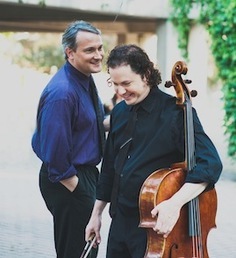 Haimovitz has retrofitted the 1710 Goffriller cello he usually plays with oxgut strings and an early 19th-century tailpiece; while O’Riley uses a 1823 Broadwood piano, this being the English brand that Beethoven used in his later years. Some period specialists feel that replicas rather than rebuilt originals are better suited to the ideological demands of their art, but Haimovitz and O’Riley (who really should open a combined delicatessen and pub) seem less motivated by doctrine than by personal musical taste. They tuned their instruments to A-430 — a little flat but not “baroque” — not out of scholarly rigour but because this was the sweet spot in terms of mutual resonance. The recording is full of subtle beauties that lead the listener to ask whether more credit is owing the instruments or the players. Even the simple solo line for cello that opens the most popular of the sonatas, Op. 69, offers a compact exhibition of how the unpredictable and walrussy tonal qualities of the restrung cello intersect with Haimovitz’s superb sense of how a phrase should go. The piano is also something of an antique synthesizer that varies in tone depending on the register and the application of either or both of its two pedals. Many are the pearly runs in the treble range and bass notes have a fascinating translucence. Yet we sense aptness in O’Riley’s articulation and unfailing engagement with Beethoven’s genius. This is not a listen-to-all-these-funny-sounds kind of performance. It is churlish but mandatory to point out that it has taken “modern” musicians to get these results. Period performers aim to recreate the year of composition but often push the music backward. There can be no question in the probing Haimovitz-O’Riley treatment of the first movement of the Sonata Op. 5 No. 2 that Beethoven in 1796 was far, far ahead of his time. Yet in the fugue of Op. 102 No.2 — the composer’s final statement for the combination he loved so well — we seem to hear the past and future brought together by the most abstract and timeless of musical forms. Not surprisingly, Haimovitz has marshalled some of the traditional pro-period arguments in his booklet notes. Rather than fighting a “powerhouse” modern piano, the cello now must make room for the “nuances” of the fortepiano (this being the common name for an antique or replica instrument). It seems to me that collaborative players (rather than mismatched soloists) have always been able to perform these works equitably on modern instruments. Would Haimovitz and O’Riley have done any worse with steel strings and a Steinway? Rather than delve into that hypothetical I shall conclude simply that is a recording of full feeling and remarkable intelligence. Haimovitz is a professor at the Schulich School of Music, which gives Montrealers another reason to be interested. And it should be noted some of the storied “balance” of these old instruments is due to the good work (at George Lucas’s Skywalker Sound studio in California) of the Grammy-winning recording engineer Richard King, who is also a McGill prof. Too bad the sets of variations on the first of the two discs do not correspond to the order indicated in the booklet. Presumably downloaders are not affected. Now I must confess that I did not hear this recording (a joint release by Pentatone and Oxingale) in five-channel sound but settled for the stereo track played back through a period receiver and vintage loudspeakers. I guess I am just an old-fashioned kind of guy. Go to http://oxingalerecords.com. 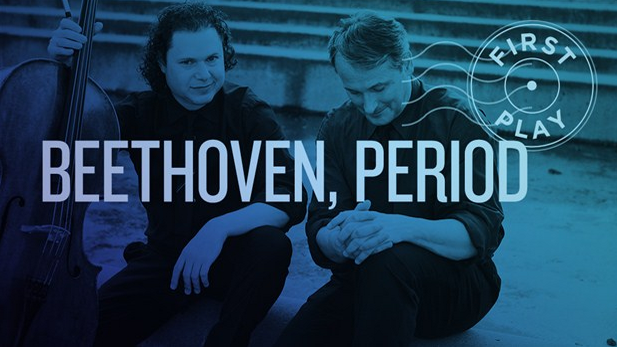 Tags: Beethoven, Christopher O'Riley, gazette, kaptainis, Matt Haimovitz, montreal, period.